Provide in-home consultation for Medicaid Planning and process application for home care and nursing home benefits. Prepare Pooled Trust application. Coordination of care. Russo Law Group’s team of elder law attorneys, estate planning attorneys, and special needs (disability) attorneys have represented the elderly and persons with special needs/disabilities and their families since 1985. In most professional occupations there is no replacement for experience. At Russo Law Group, P.C., our caring and compassionate staff have been involved in literally thousands of cases. Our experience is your protection. Ms. Allegretti was named in the 2015 Huntington Township Chamber of Commerce “Celebrate Long Island’s Young Professionals” 30 Under 30 Award for making a notable impact on local businesses, industry and community. 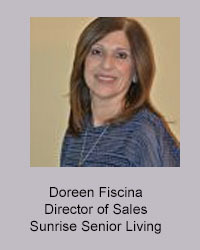 In 2016, she was awarded the honor of Excellence in Communication in the area of In-House Marketing Professional and awarded with the Millennial Award, both from the Long Island Business News. In November of 2016 she became a member of the Suffolk County Legislature Next Generation Advisory Council. In January of 2017, she joined the Farmingdale State College Alumni Board. She also volunteers her time to the Nassau County Camera Club as their Webmaster. I am a life & health broker focusing on the senior market. I help people to enroll in Medicare coverage that best addresses their health and financial needs. I also educate people in group environment on the basics of Medicare so that they can make informed choices. The Alzheimer’s Association is the leading voluntary health organization in Alzheimer’s care, support and research. The Long Island Chapter offers many programs and services to help support family caregivers, professional caregivers, and those diagnosed with Alzheimer’s or dementia. Our services include: a 24/7 Helpline staffed by Masters level clinicians to help answer questions and provide assistance during times of crisis, support groups, education programs for caregivers, Memory Cafes, respite assistance and the Medic Alert + Safety Return program. Caring Senior Service has been serving seniors for more than 25 years using our GreatCare® method which ensures seniors receive the very best senior home care. It is our goal to give seniors the control needed to live safely at home and to give their families peace of mind. We believe that every senior should be able to remain healthy, happy, and home, as does our staff. We work hard to provide GreatCare® to every senior we serve. FREE ASSISTANCE WITH MEDICAID APPLICATIONS, MEDICARE SAVINGS APPLICATIONS AND ORIGINAL MEDICARE (PARTS A AND B) for the AGED, BLIND AND DISABLED. The Nassau Suffolk Hospital Council has partnered with the Suffolk County Department of Social Services on a grant from the NY State Department of Health to provide enrollment assistance in government-sponsored health insurance programs for the aged, blind, and disabled (ABD). Nassau-Suffolk Hospital Council has facilitated enrollers (FE’s) trained by NY State Department of Health and stationed at various community based locations throughout Nassau and Suffolk counties to assist this targeted population enroll into the following programs: Medicaid, Medicaid Buy-In for Working People with Disabilities (MBI-WPD), Medicaid Spend-down, Medicare Savings (MSP), and Medicaid for Institutional Care in a Nursing home. We can also assist clients to apply for Medicaid if they are found eligible for Home and Community Based Services Waivers (i.e. OPWDD, TBI, NHTD, OMH). In 2018, NYS DOH added Medicare Telephone Assistors (MTA’s) to the ABD Grant because a large number of Medicaid beneficiaries, who should have applied for Medicare, failed to do so. Medicare Telephone Assistors assist these beneficiaries enroll into Original Medicare. This is accomplished by helping beneficiaries apply online at SSA.gov, referring them to an ABD enrollment site for in-person Original Medicare enrollment, or helping them to make appointments at the local Social Security Office. Once enrolled (or denied) Original Medicare, Medicare Telephone Assistors request proof of Medicare enrollment (or denial) to send to the local Department of Social Services to stop the potential dis-enrollment from the applicant’s Medicaid benefits. Medicare Telephone Assistors are also provided lists from the NYS DOH of current MAGI Medicaid enrollees, who will be transitioned from the NYSoH online Marketplace and to their local DSS office due to ‘aging out’ at age 65, who will need assistance with Medicare enrollment. 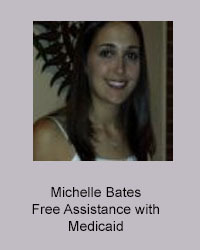 Medicare Telephone Assistors help these individuals to apply for Medicare, and connect them with an ABD FE, who can assist them in completing the necessary Medicaid paperwork to ensure dual eligibility. Grew up in Huntington, L.I. and graduated from Notre Dame with a degree in Finance. Left Wall Street after a 32-yr career trading international stocks. Active volunteer in Inner-City Lacrosse programs like Harlem Lacrosse & Leadership, and CityLax in the Bronx. Went to Haiti in 2015 to build homes for St Luke Foundation. Honored to be serving the Senior Community in Western Nassau County, NY! Anthony Capogna has served families of Long Island and the Five Boroughs for many years in all aspects of funeral care, specializing in advance funeral planning for estate/medicaid purposes. Serving all faiths in all communities. Care Answered provides healthcare coordination and advocacy for older adults. We offer peace of mind to older adults and their families by expertly navigating them through the healthcare system. We aid in obtaining the answers and guidance needed to obtain the best healthcare possible for their unique situtation. The services we offer include: aid in selecting doctors, hospitals, rehabilitation sites, home health care, assisted living facilities and more; facilitate the transfer of medical/pharmaceutical records; accompaniment to doctor appointments as an advocate; mediate family discussions on healthcare of an older adult and much more. Care Answered serves all of Long Island. Katie Coleman, CFP®, is a Financial Advisor and President at Coleman Financial Group, a private wealth advisory practice of Ameriprise Financial Services, Inc. She has been in the financial services industry for 14 years and is passionate about helping people achieve their financial goals and pursue their life dreams. Katie is originally from Atlanta, Georgia and graduated from the University of Georgia, Terry College of Business with a bachelor’s degree in Business Management. Katie moved to New York in 2007. That same year, she joined Siena Wealth Advisory Group and in 2012, Katie became a partner in the firm. Together, with her business partner, she trained over 600 financial advisors across the country. 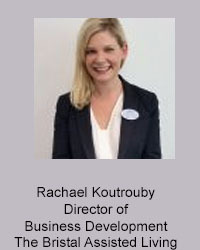 In January 2014, Katie was named as one of Long Island Business News’ 40 under 40, which honors outstanding members of the business community on Long Island who are under the age of 40. In 2015, Katie was also a finalist for the Athena International Young Professional Leadership Award. She has been quoted as a financial expert in publications such as the Wall Street Journal, NY Post and the Long Island Business News and appeared on CNBC’s “On the Money”. Most recently, Katie was recognized as Forbes America’s Top Next Generation Wealth Advisors 2018 and Working Mother Top Advisors Mom List for 2018. Katie holds her Series 7, 66 and the New York State Life and Health Licenses, and is a CFP®, Certified Financial Planner practitioner. In September 2018, Katie started her own wealth advisory practice, Coleman Financial Group, a financial advisory practice with Ameriprise Financial. 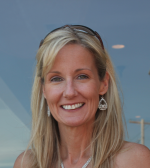 Katie enjoys spending time with family, reading and traveling and is a board member for the Michael Magro Foundation. She currently resides in Oakdale, NY with her husband Bob, their two daughters, Charleston and Sailor and their chocolate lab, Tuna. Katie also sits on the board of the Spencer Foundation, as well as the Michael Magro Foundation. These are two organizations that focus on helping children and their families battle cancer and chronic illnesses. Dignity Memorial is a network of 2,600 funeral homes across the United States and Canada, specializing in Revocable/Irrevocable Trusts, Cremation, Burial and Entombment. We also provide educational seminars in our funeral homes, local churches, community centers, nursing facilities and assisted living. Caring Alternatives, Inc President Caring Alternatives, Inc. offers consulting services to individuals/families/corporations which are focused to assist in resolving eldercare issues. Our goal is to allow the individual to remain at home for as long as possible. We are PRI/SCREEN certified and offer assistance with nursing home or assisted living placement, out-of-state transfers, hospital discharge and nursing home issues. Our services will “Ease the Squeeze” for all who find themselves members of the Sandwich Generation! Circle of Care is the Geriatric Care Management Division of North Shore-LIJ. We provide care coordination for seniors and younger disabled persons throughout Long Island and the boros who want to remain independent in their own homes. We offer reassurance, healthcare expertise, arrangement and supervision of all types of services both in and out of the home. AgeWell New York MLTCP Director of Outreach and Enrollment New Approved Managed Long Term Care Program. AgeWell New York is a New York State authorized managed long term care plan (MLTCP). AgeWell NY helps people who are chronically ill or those with disabilities needing health and long term care services stay in their home and communities, as long as possible. AgeWell New York’s Care Managers work hand-in-hand with our members to help manage their health care & personal care needs. We can assist with Medicaid applications. We assist clients with downsizing, relocating (packing/unpacking), home organizing, de-cluttering & estate liquidating needs. We are a one stop shop for all things senior relocation. I started with Caring Transitions in 2015 and quickly became so fond of this field. I found a true passion for working with seniors and helping them navigate through these life changing moments. My background is in professional organizing which I had been doing prior for over 7 years. This profession has helped me with executing each project very efficiently and taking charge of all of our clients needs. I am looking forward to what is ahead in the future and the lives we will continue to change. At Privatus, we offer Home Care and Private Duty Nursing. Our prime focus is on ‘the client experience’ and customer service. Whether for clinically complex care needs, personal assistance, or those desiring a sophisticated advocate, our attention to detail and degree of communication is second to none. Ronald Fatoullah is an award winning elder law attorney who is recognized by his peers and clients for his expertise and accomplishments in the fields of Elder Law, Estate Planning, and Special Needs. His law firm, Ronald Fatoullah & Associates, is built on his comittment to the highest professional and ethical standards, and a fierce dedication to his clients. The firm is well known for providing outstanding legal services to the senior citizen community, and to individuals who are differently abled. Mr. Fatoullah is a frequent presenter to Corporations, Banks, Accountanting firms, and other attorneys, and speaks extensively about Medicaid Eligibility, Estate Planning, Asset Preservation, and Special Needs Trusts. Mr. Fatoullah has offices in Brooklyn, Long Island, Manhattan and Queens. 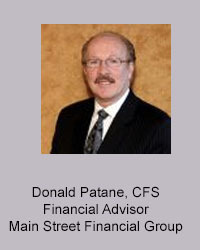 President, GPNY; Member, Society of Financial Services Professionals (SFSP); Member, Advisor Committee to the Board of Directors, Ronald McDonald House [LI Chapter, 11 Years]; Former Director, National Association of Insurance and Financial Advisors [NAIFA]; Member, LI-AFA; Member, Long Island Advancement of Small Businesses [LIASB]. As an Investment Advisor Representative, my practice has focused on Personal Insurance Solutions such as Life, Health, Disability Income and Long Term Care Insurance. I also Excel at assisting my Clients with their Investment Needs by offering them access to a wide variety of Investment Products including Variable Annuities and Managed Account Platforms. Move Management for Seniors. Certified Relocation Specialist provides hands-on TLC including planning, sorting, distribution, packing, moving, unpacking, settling in services for an easier transition. We provide gentle caring Comprehensive Cosmetic and Geriatric Dental Service as complete and quickly as possible. We are equipped to provide dental services to the persons whom may be medially compromised or suffer from Alzheimer’s or other Dementia diseases. If the person is Homebound or resides in an Assisted living facility, a Senior Day Care Center, a Long Term Care or Rehabilitation facility, WE WILL TRAVEL to provide Dental Service to them. Our goal is to provide all dental services to the 50 plus aged person whom may or may not be able to travel to our office. Our ultimate goal is to provide a healthy oral condition that allows a person to function properly and have a beautiful smile that will last for a lifetime. Our warm staff includes dental hygienist and dental auxiliary staff whom have completed the fellowships in Geriatric Dentistry. The dental team is managed by our geriatric dentist who is a Diplomate in American Board of Special Care Dentistry and the American Society of Geriatric Dentistry. We work together as a team to bring Baby Boomers, Retired Adults and Senior Citizens the highest quality of care. The Alzheimer’s Association is the leading voluntary health organization in Alzheimer’s care, support and research. Over 5 million Americans are living with Alzheimer’s and as many as 14 million will have the disease by 2050. It’s the nation’s most expensive disease at $290 billion. Our mission is to eliminate Alzheimer’s disease through the advancement of research; to provide and enhance care and support for all affected; and to reduce the risk of dementia through the promotion of brain health. Our vision is a world without Alzheimer’s®. Visit www.alz.org or call 800.272.3900. Jaime J. Huete, Business Development Mgr. Julia Jenne is the company’s only Certified Senior Adviser and Business Development Administrator. Julia has been working in the senior community for over 20 years and has been with Utopia for 10 years. Julia provides in-home consultations at no cost to the family and also case manages at no cost. Julia also gives free aging in place presentations. 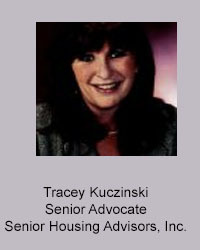 Former board member since its inception of the Long Island Family Caregiver Coalition. Steering committee for St. John’s Episcopal church Aging in Place program, Cold Spring Harbor. Steering committee for The Enrichment Center of Oyster Bay. Utopia Home Care is a licensed home care agency providing care for seniors with certified home health care and personal care aides and Utopia Companion Agency. We are resourced through private pay, long term care insurance policies, medicaid and (medicare in CT, PA and Florida) and contracted with managed long term care, VA benefits, Nassau and Suffolk Office of the Aging. Long Island branches are Hempstead, Babylon, Kings Park and Riverhead. Natalie Karp, MBA, CLTC is a highly accredited specialists in LTC Insurance and ranked by The American Association of Long Term Care Insurers as top professionals in New York State, 2009 and 2010. Karp Loshak LTC Insurance www.karploshak.com is a trusted source of information on long term care insurance solutions for individuals, business owners and employer groups. Licensed in NY, NJ, CT, FL, CA, and MO and licensed in State Partnership Insurance Plans. Lisa’s Care, is a referral agency which helps people with their home care needs. After a complete and thorough assessment our company matches caregivers with our clients individual home care needs. Lisa’s caregivers are highly trained and certified bi-lingual individuals who originated from Europe. Lewis is a seasoned professional who provides help with day to day financial matters. As a Daily Money Manager and Fiduciary (Trustee, POA) some of the services he provides are: bill paying; banking and account reconciliation; organization of all personal documents; negotiation with creditors; preparation or review of insurance claims; entitlement assistance (medicare/medicaid); referrals to: financial planners, Elder Law and Trust and Estate attorneys, Accountants (CPAs), Geriatric Care Managers, transition specialists and others. Services are customized to meet needs and are provided to seniors or family members on their schedule at their locations. I am a Senior Housing Advocate, as such I assist seniors,the elderly and their families with any aspect of senior housing as well as any other concerns they may have. I am always available to meet with my clients at home or in a hospital or rehab setting. I also am the very proud owner/operator of a small wonderful home for the frail and elderly called “The Hidden Gem” The Gem is home to 17 wonderful seniors who get all inclusive care in a very home like setting. Feel free to call me anytime for tour. 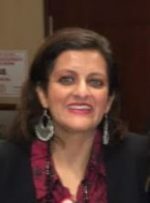 Rona Loshak, MBA, CLTC is a highly accredited specialists in LTC Insurance and ranked by The American Association of Long Term Care Insurers as top professionals in New York State, 2009 and 2010. Karp Loshak LTC Insurance www.karploshak.com is a trusted source of information on long term care insurance solutions for individuals, business owners and employer groups. Licensed in NY, NJ, CT, FL, CA, and MO and licensed in State Partnership Insurance Plans. Karp Loshak is an approved NYS Sponsor of Continuing Professional Education (CPE). Short Business Description: FOX REHABILITATION provides Housecall PT/OT/SP to older adults through part B medicare..helping our seniors age in place in their home or assisted living ….we take the therapy to the client. To rehabilitate lives by believing in the STRENGTH OF PEOPLE. To believe in our people—allowing them the autonomy to facilitate and provide clinically excellent care to our community with compassion and respect. To believe in our clients and their ability to achieve what they once thought impossible—optimal function to rehabilitate their lives. FOX is celebrating 20 years of fighting ageism – and we’re just getting started. We won’t stop until ageism is abolished. What does a world without ageism look like? It’s a world where passion and compassion collide. It’s a world where older adults are respected and expected to do what they once thought impossible. It’s a world facilitated by clinical excellence and unlimited independence for older adults. Business Tags: Giving more than what is expected. Amber Court provides an affordable, desirable option in assisted living. Indiviuality and independence are encouraged in a lovely nurturing environment. Our expertly trained staff takes our mission to heart: to make the most of each person, each day. If needs increase, our continuum care allows “aging in place”. We also offer the Medicaid-funded Assisted Living Program (ALP). For those with cognitive impairment and related issues, The Alcove Upper level addresses memory care in a state-of-the-art environment. I have been affliated with Amber Court Assisted Living since 2002 and began as Director of of Community Relations. Over the years, my role has expanded to my current position as Long Island Regi Director. In this capacity, I serve as community outreach liaison, family advisor, marketing team supervisor, and educational seminar facilitator. I am well-versed on the Medicaid-funded Assisted Living Program (ALP) and its eligibility requirements. Personally and professionally, I strove to be a valuable resource for elders and the people who love them. Recognizing that it does indeed “take a village”, I pride myself in being well-connected. MY commitment to improving the qualit of life of our “golden citizens” is also reflected in my voluntary endeavor. For over 8 years, I havre been a board members of the Westbury Senior Center as well as other organizations. I consider “matchmaking” to be the essence of success and delight in helping people during a delicate time in their lives. Address: 7 S Jersey Ave.
Home Care Assistance is a licensed home care agency that provides in home care to patients who wish to age in place. We provide assislance with all activilies of daily living, ard alsoskilled nursing care. After spending over 35 years in corporate sales and marketing management I have only one mission in life. To protect a familys assits and insure that they recive the best care solution that provides the best quality of life for the senior and there families. LIFEC provides a conplete suite of services for the elder care. From protecting a families assists to consolution in all forms of medicaid solutions. 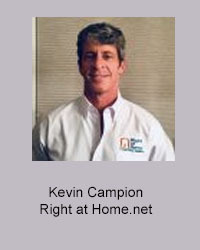 We also offer a complete suite of home services from home clean outs to real estate sale and planning. Legal services from wills, trusts and POA,s. Through our Tradeing Post store we offer a food bank,health aides (wheelchairs,walkers,dippers etc.) for seniors that can’t afford these simple needs. Alliance is a concierge licensed home care agency. We have offices in NYC, Long Island and Weschester. We pride ourselves on hiring top care givers who are trained in mobility & body mechanics, diversity & inclusion as well as Alzheimer’s care. We can work with families looking for help with ADL’s and we can also provide RN’s for shift work. Our premier offering, Alliance Concierge ™ – is a comprehensive approach to home care where in addition to our advanced trained care givers, we provide our in-home mobile tablet VAL ™ and include free screenings from professionals, such as; PT/OT/Speech, Nutrition, Wellness, etc. BrightStar of North Shore Nassau County Owner When you or a loved one faces a challenge, you need the services that only an industry leader like BrightStar can provide. Located in 32 states and Canada, BrightStar’s local owner, Maureen Nickel, will bring you and your family compassionate care, peace of mind and exceptional service – the BrightStar Difference! From childcare to elder care, the BrightStar team is available to you 24 hours a day, 7 days a week. BrightStar also provides medical staffing to hospitals, skilled nursing facilities, rehabs, and assisted living facilities. Maureen is dedicated to doing whatever it takes to bring more – more dependability, more security, more service to the lives of the families and organizations she serves each and every day. My name is Eliso Papaladze, I am a president of Lisa’s Care, a referral agency which helps people with their home care needs. After a complete and thorough assessment our company matches caregivers with our clients individual home care needs. 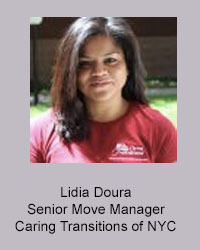 Lisa’s caregivers are highly trained and certified bi-lingual individuals who originated from Europe. I am a social worker, has been working in geriatric for more than 10 years. I had been a geriatric care manager for Catholic Charities. After witnessing challenges and difficulties families go through to find the right home care, I have decided to help and open homecare/registry where the family can afford the care. 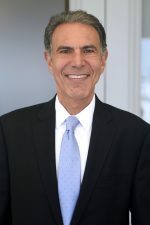 He frequently lectures to other attorneys, accountants and community groups, which include continuing legal education seminars for the New York State Bar Association and Nassau County Academy of Law. He has taught adult education courses in elder law throughout Nassau County. He is also a contributor to the Elder Law Attorney, published by the New York State Bar Association. 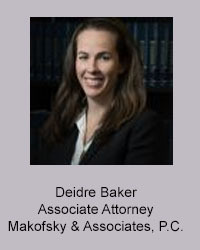 He is a member of the Attorney Round Table, a lawyers’ business networking group comprised of some of the leading practitioners in their respective areas of law practice in the New York metropolitan area. In 2005, the National Multiple Sclerosis Society honored Mr. Pfeifer for his community service and philanthropic contributions. He was also named the Kiwanian of the Year of the Long Island South Central Division for the year 1992-1993. Mr. Pfeifer has appeared on the radio program “Physical Therapy…Physical Health” to talk about elder law issues. He was the expert for the May 19, 2007 and August 2, 2008 “Ask the Expert” columns in Act II of Newsday. 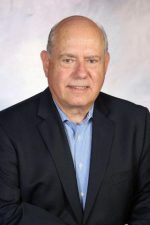 Mr. Pfeifer received his Juris Doctor degree from Pace University School of Law and his undergraduate degree, with high honors, from Stony Brook University. Amy has over 30+ years of experience in sales and marketing as well as a passion for people…especially senior adults. As this population continues to grow, Gurwin is positioned to accomodate the broadest range of needs possible. Gurwin Jewish-Fay J. Lindner Residences offers the finest quality of service and care available in assisted living- beautifully appointed apartments, elegant fine dining, and an exceptional, caring staff. Located on a beautifully manicured property conveniently located next door to our state of the art Rehabilitation and Skilled Nursing Center, our community defines excellence in assisted living. Deciding what adult community or affordable senior housing option is best for your client or loved one can be challenging and sometimes confusing. The Arbors Assisted Living cordially invites you to visit one of our adult living communities, with five communities; conveniently located in both Nassau and Suffolk County Long lsland. We are confident you will see why The Arbors Assisted Living is the premier all-inclusive assisted living option on Long lsland. Assisting seniors and their families to find the best options for senior living is something I am passionate about. I have been helping families in this process for the past 14 years. As Director of Community Relations for Brandywine at the Savoy in Little Neck, I can offer a wide array of services to help seniors balance their independence and their needs. Our approach provides the ideal solution for seniors who need help with daily activities or just don’t want to live alone. I understand that the process of moving loved ones to a senior community is complicated and emotional. I can be extremely effective in helping families find ways to make this happen. After a 20 year career working for Newsday, most recently as an Advertising Account Executive, I chose to change direction in my career to something more rewarding. This has been a wonderful second career for me. Born and raised in Brooklyn, NY I am a product of the public school system all the way through the State University of NY. I hold a Geriatric Scholar certificate from NYGEC, part of the NYU School of Nursing, which I completed in 2008. I have worked in collaboration with many local and national organizations such as the Arthritis Foundation, National MS Society, Gerontology Professionals of NY, Alzheimer’s Association, LIAF and Pups for Parkinson’s to help raise awareness, raise funds and educate the community. I provide managed long term care plan to communities in Nassau and Suffolk counties. I speak three south Asian languages: Hindi, Gujarati, and Punjabi. I do grass roots marketing in Indian community as well. A Nu Start NY, Inc. Address: 800 East Gate Blvd. We are a licensed agency staffing certified home health aides and nurses. All of our staff go through extensive background checks, drug screening, and continuing education training. HHA’s by law may provide person care such as bathing, dressing, grooming, and toileting as well as daily assistance with laundry, light house keeping, and meal preparation. Our nurses can perform PRI exams and medication management. We participate with medicaid mltcs Aetna and Integra. We also will staff private pay cases. Our care providers will work hourly or as a live in option. I have been part of the senior care community for over 4 years now and have experience in both assisted living and home care. I am well versed in the medicaid process and strive to help people get the care they need in an affordable manor. Address: 175 No. Long Beach Rd. Chris specializes in customizing one’s own funeral Pre-Arrangement to start or compliment their estate plan or fund an account to protect monies for Medicaid purposes. Chris can also assist those in need for funeral purposes at any of his Gutterman locations or at our non-Jewish affiliates with chapels throughout the five boroughs and all of Long Island.